Rose-Marie was born and raised in Mategouasse, a small community near the Haiti-Dominican Republic border. She’s a 35 year old mother of three, her youngest is just 11 months. 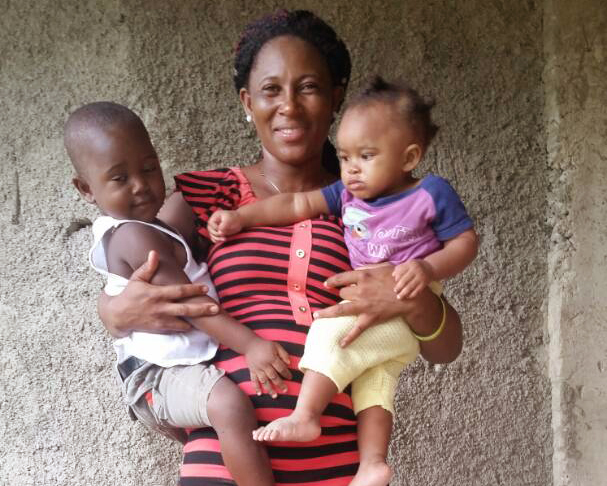 Rose-Marie’s love for Mategouasse and her desire to see people - particularly children, pregnant women, and mothers in the community - have good health led her to be one of the first women to join a Cascade group in 2015. “At first, I was a little reticent about the idea of becoming a Leader Mother in my community. I didn’t see in myself a mother that could influence other mothers because I was not a good example at that time,” Rose-Marie explained. Before joining a Cascade group, Rose-Marie took her children to the hospital all the time and spent a lot of money to treat their frequent illnesses. The health workers at the hospital told her that her children’s diarrhea was due to a lack of hygiene at home. She was told that she had to wash her hands before giving food to the babies but she didn’t apply these instructions because she couldn't understand how that could be the reason for her children’s sickness. People in the community regularly comment on the good health of Rose-Marie’s children. It’s obvious that she has made significant changes and that those changes are having a huge impact on the other mothers in her neighbourhood. Many mothers now try to implement what Rose-Marie is doing.